When looking for a folding knife, you will mostly be led to spring assisted knives. There are so many options to choose from, which can make the choosing process a bit challenging. But that’s what we’re here for. We’ll help you find the best spring assisted knife by giving you some information on what to look for or consider. Then, in the end, we’ll give you our top picks along with their pros and cons. The Blur series of knives by Kershaw all have blades that have a slight bend, making it a great multi-purpose knife. The Ken Onion Blur Folding Knife is a tactical knife, but it makes for a great everyday carry knife. 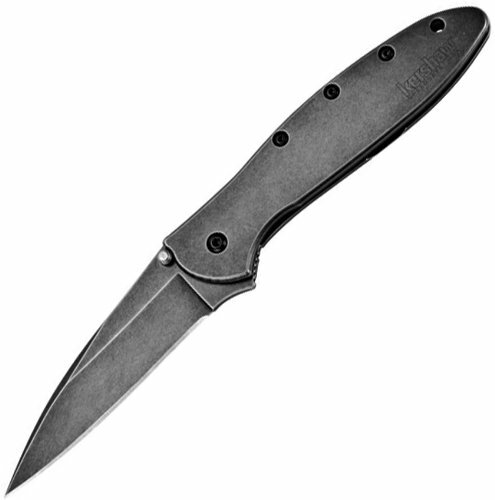 The Cryo model is a product of joint effort between Rick Hinderer and the masterminds at Kershaw. It was designed with the Hinderer knife in mind but at a much lower cost. The cryo knife is stainless steel with a matte gray titanium carbo-nitride coating. Zero Tolerance is probably the newest brand on the list. Their first appearance was only in 2006, but they took the market by storm with top notch quality. Their knives are used by firefighters, emergency medical personnel, and professionals in law enforcement and military. Alpha Tek may not specialize on knives like Kershaw, but they do focus on outdoor tactical everyday carry gear. Their spring assisted knife is a multi-purpose knife that is part saw and part bottle opener. Gerber is another well-known reliable brand for top quality knives and tools. They are popular among soldiers and hunters, as well as tradespeople and outdoorsmen. They have an extensive selection of knives; from survival to hunting, to self-defense, and to every day carry. ​**Below, you’ll find our more detailed reviews, but you can also click the links above to see current prices or read customer reviews on Amazon. The Blur series of knives by Kershaw all have blades that have a slight bend, making it a great multi-purpose knife. The shape of the blade allows for smooth slicing and piercing. It uses a Sandvik 14C28N stainless steel, which is highly corrosion-resistant and hard. The Ken Onion Blur Folding Knife is a tactical knife, but it makes for a great everyday carry knife. 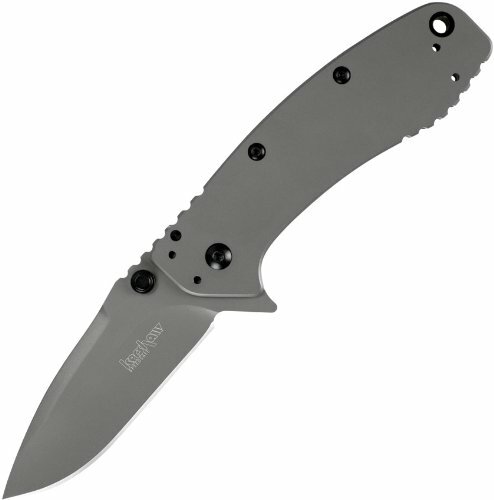 It features Kershaw’s SpeedSafe assisted opening and uses a thumb stud release mechanism. The handle of the knife is a 6061-T6 anodized aluminum. When open, the knife measures 7.9 inches, with a blade that’s 3.4 inches. It has a very sleek look. The black coating, which is a diamond-like carbon, makes it look elegant. Thumb studs on both sides allow for ambidextrous use. It’s also for extra corrosion protection. Easy to open and close. It also opens quickly and smoothly. This knife is on the expensive side of the spectrum. Kershaw is an award-winning brand, so you can be sure that when you get a knife from them, you’re getting something that’s top notch. They have a wide selection of knives, in also a wide range of prices. But even the cheap models are solid and reliable. 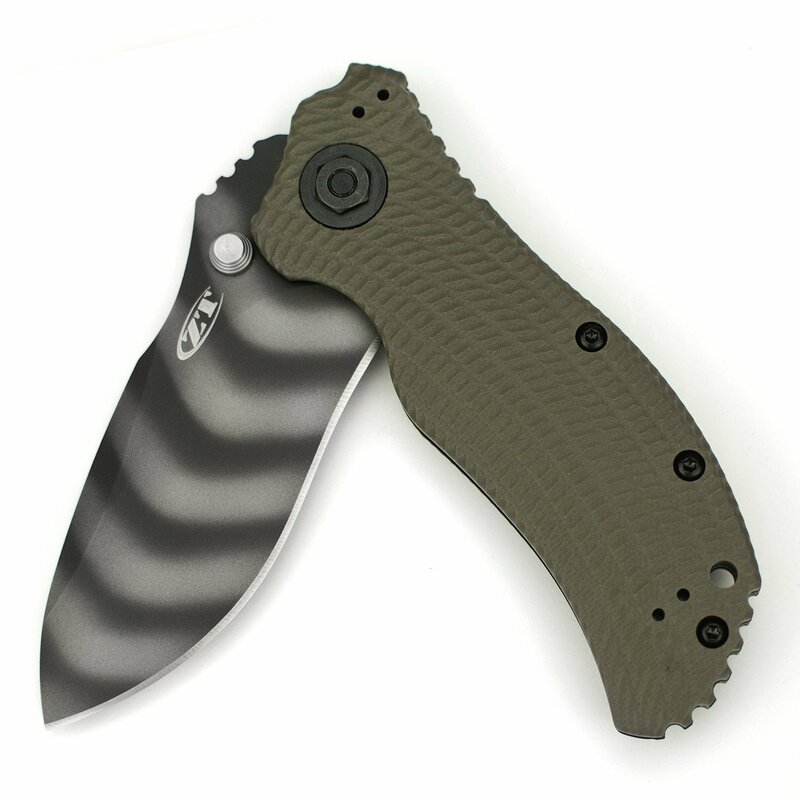 The Cryo model is a product of joint effort between Rick Hinderer and the masterminds at Kershaw. It was designed with the Hinderer knife in mind but at a much lower cost. The cryo knife is stainless steel with a matte gray titanium carbo-nitride coating. It features Kershaw’s SpeedSafe Assisted Opening with a flipper, which allows for the quick and easy release of the blade. The blade is about 2.75 inches long, giving the knife a total open length of 6.5 inches. Pretty decent for a low-budget knife. The flipper mechanism on this knife is easy and smooth. It may close small, but it’s quite heavy for the size. The blade is pretty ordinary. Zero Tolerance is probably the newest brand on the list. Their first appearance was only in 2006, but they took the market by storm with top notch quality. Their knives are used by firefighters, emergency medical personnel, and professionals in law enforcement and military. 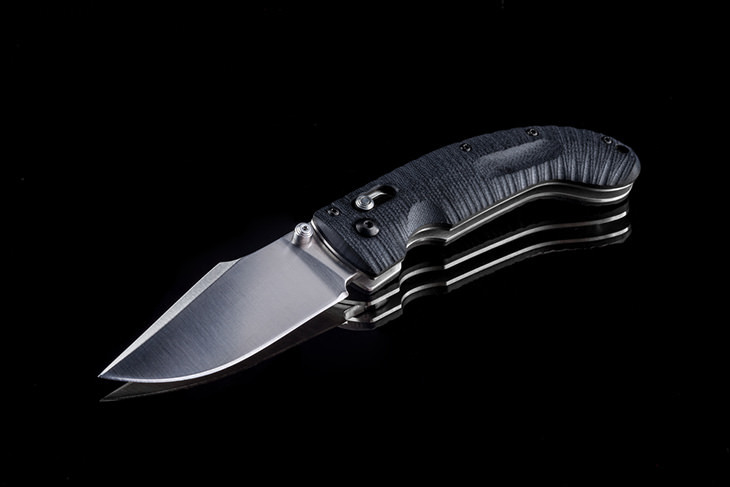 ZT knives use high-quality materials on their blade and handles. This particular knife has a G10 handle and a non-serrated blade. 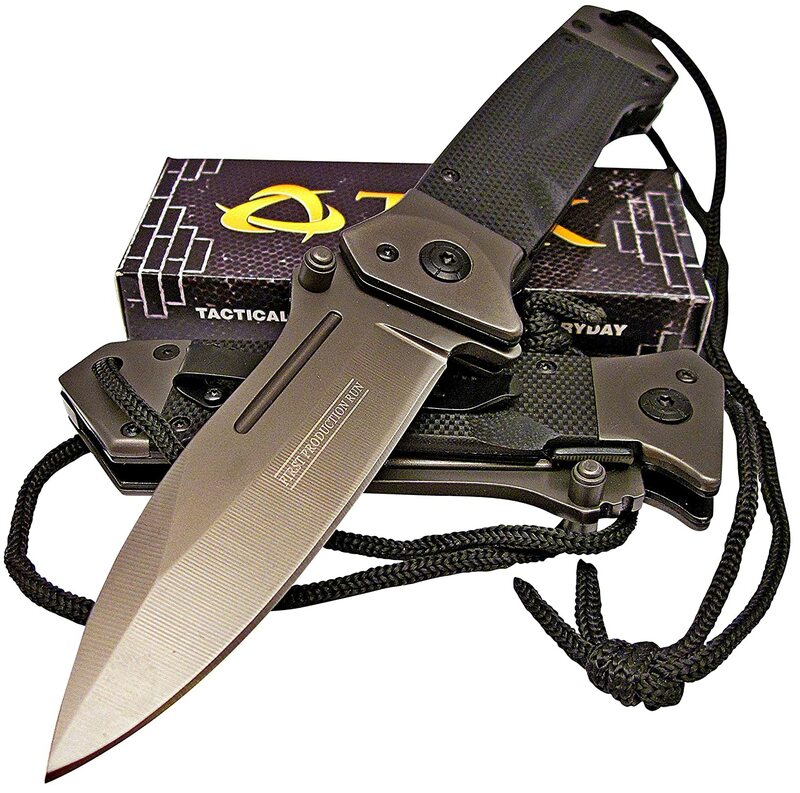 The blade is an S30V steel with tungsten DLC coating. The surface gives the blade a nice clean look, but more than that, it prevents wearing and enhances the hardness. 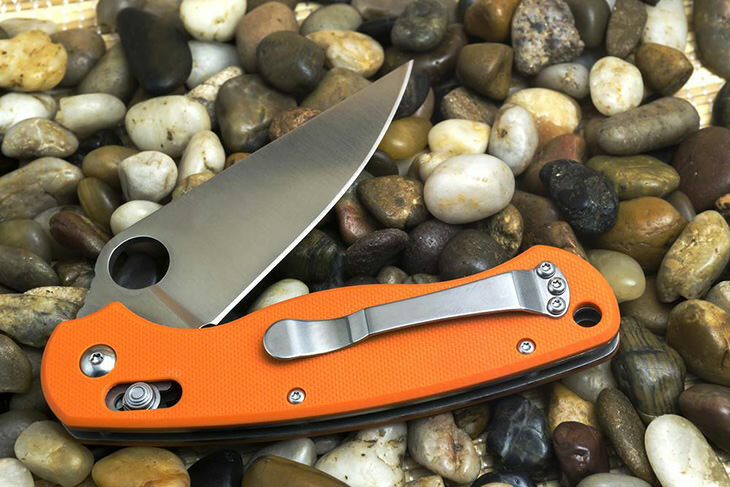 It uses a thumb stud for assisted opening, has a liner lock and quad-mount clip. It has ambidextrous thumb studs. Great blade and smooth spring opening system. High-quality material and great looking finish. This knife is very expensive. Alpha Tek may not specialize on knives like Kershaw, but they do focus on outdoor tactical everyday carry gear. Their spring assisted knife is a multi-purpose knife that is part saw and part bottle opener. The drop point blade is a 440C high-carbon steel, while the handle is a G-10 composite. The hand sits comfortably on the hand. Very affordable for a decent knife. The two blade release mechanisms are quite handy, especially when using it with work gloves on. Sometimes difficult to open smoothly with one hand. Gerber is another well-known reliable brand for top quality knives and tools. They are popular among soldiers and hunters, as well as tradespeople and outdoorsmen. They have an extensive selection of knives; from survival to hunting, to self-defense, and to every day carry. The Gerber Covert Knife with a serrated edge has a drop point blade, with serrated edge and G10 handle. The blades are coated with black titanium for better toughness. 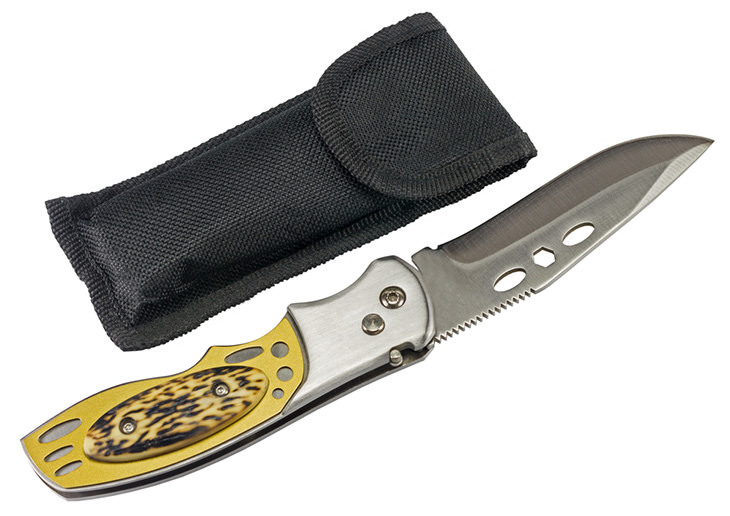 It opens up to an open length of 8.7-inch knife and closes to the length of 5 inches. It’s dual thumb studs allow for ambidextrous use. Gerber’s patented F.A.S.T technology allows easy and quick deployment of the blade. The knife has a safety button to keep the blade from accidentally opening. Love the look of this knife. The black color and the design is very sleek. This knife is more expensive than any on the list. The locking mechanism feels feeble. First, let’s start with the basic because this type of knife is often confused with switchblades. 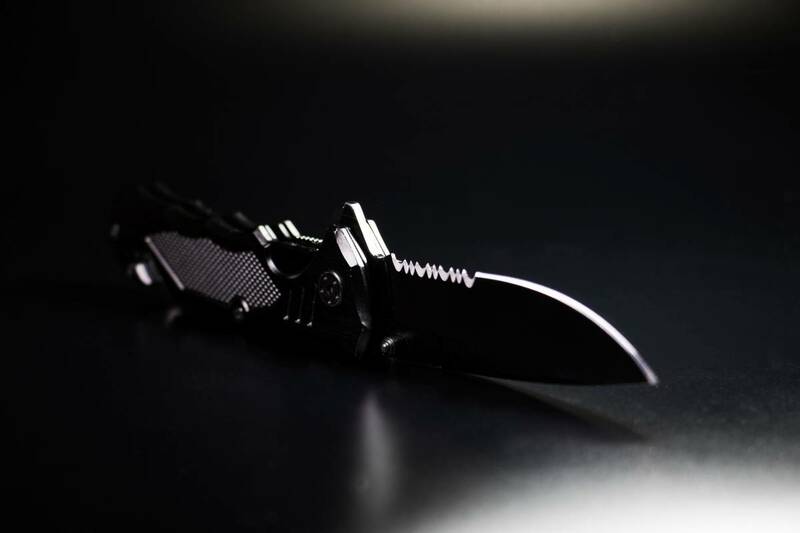 Spring assisted knife is a type of folding knife that requires you partially open the blade with a flipper or thumb stud before the internal mechanism fully opens it. 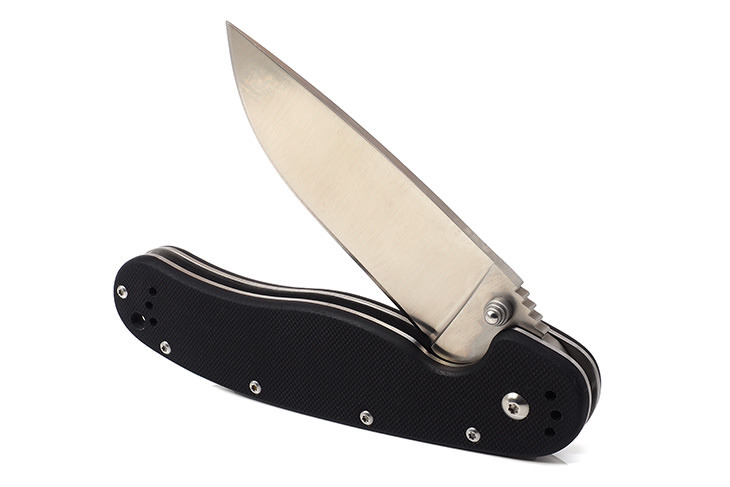 On the other hand, a switchblade opens automatically with a single push of a button. Another significant difference between the two is that a switchblade is illegal while the spring assisted knife is widely available. Spring assisted knife also goes by the names AO Knife, assisted opening blades, quick release, quick draw, and semi-auto. ​Primary considerations when buying a knife are the type of blade and the type of steel the blade is. When choosing the type of steel, you will come across these things: corrosion-resistance, edge-retention, and sharpening ability. Unfortunately, it’s hard to obtain the perfect steel with all three features. You might need to trade off one feature for another. 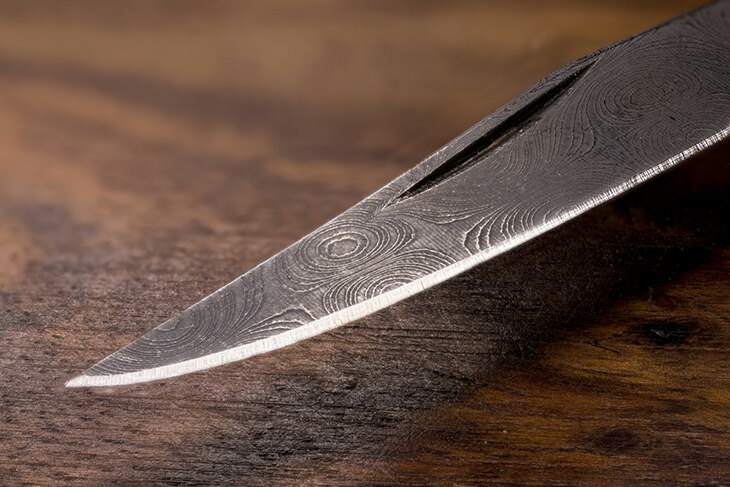 For instance, an S30V steel has the best edge retention, but it’s difficult to re-sharpen. A long time ago, you would need to use both your hands to deploy a folding knife. This usually involved digging your thumbnail into the nick near the spine of the knife, then pulling the blade out. These kinds of knives still exist, but now, knives you can open with one hand are becoming more popular. Most, if not all, spring assisted knives can be opened with one hand. Each assisted opening knife manufacturer may have their unique mechanism, but there three basic mechanisms to do so. ​No doubt, the most common release mechanism is the thumb stud. It sits on the side of the blade and can either be on the one hand or both. A thumb stud on both sides (dual thumb stud) allows you to open from either side, so they’re perfect for ambidextrous people. To use it, place your thumb on the stud and extend it to swing the blade out. Thumb studs are easy to use because it gives your thumb a good grip and prevents any accidental slips. If you want a thumb stud mechanism, consider the size and whether you want a dual or just on one side. Also, consider the placement of the thumb stud. Another variation of the thumb stud is a thumb disc. It’s almost like a stud, except it’s positioned flat on the spine of the blade, while a stud is on the side of the blade. The disc protrudes on both sides of the blades, so it’s ambidextrous. The thumb hole is a round hole on the blade so the thumb can maneuver the blade out. The advantage of the thumb hole is that it’s ambidextrous. It also provides you an easy opening mechanism without extra material like a thumb stud. It’s probably the easiest to open with your bare hands, but can be difficult if you’re wearing gloves. ​Thuds and holes call for the thumb, but the flipper uses the index finger. The flipper is usually on the spine of the blade, and it’s naturally ambidextrous. It provides a safe distance between your fingers and the blade. The flipper also acts as a finger guard once opened. Choose a flipper mechanism, if you’re more comfortable with using your index finger. Another important consideration is the shape of the blade. Many pocket knives are utilitarian and work for many purposes, while others are designed for a certain purpose. 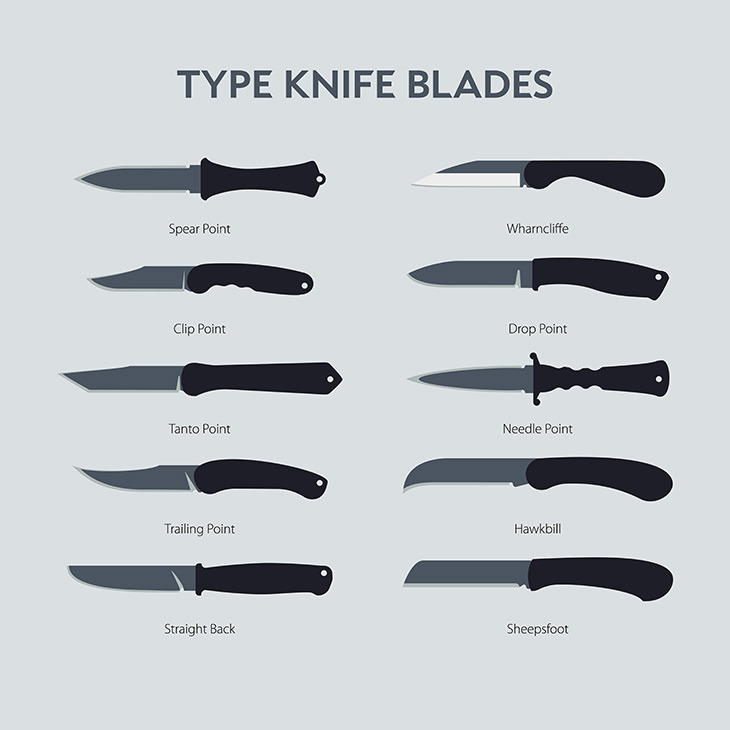 Here are some of the many types of blades for knives. One of the most common types of the blade is the drop point because it’s an excellent all-purpose blade. The spine (dull end) of the knife is dropped down to the tip in a slight curve. It’s a typical hunting knife because of controllable point and large cutting edge. Another common type of blade is the clip point. The dull side is straight from the handle until about halfway, where it continues in a curve like a crescent, or straight to the point. The clip point is sharp and ideal for piercing. The cutting edge is large for slicing too. A spear point blade is one where the point is in line with the long axis of the blade and has symmetrical edges. It can be single edged or double edged (both are sharp). A spear point blade has a strong and sharp point, but not ideal for slicing. ​Choosing a spring assisted knife is fun when you know what to look for. But to avoid mistakes in buying the wrong one, you’ve got to have some background knowledge. Usually, the more expensive it is, the better quality it offers. However, it doesn’t always hold true. If you look hard enough, you’ll find cheaper alternatives that are more than decent. The knives in this list are great, but the price difference between them is also great. But overall, I would say that the winner of the best spring assisted knife for the money is the Kershaw Ken Onion Blur Folding Knife with Speed Safe.